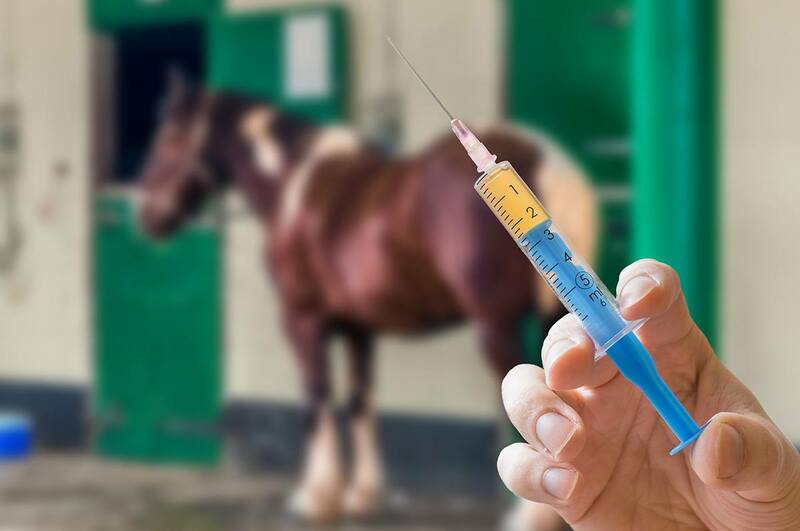 Termed Equine Neorickettsiosis in veterinary medicine, Potomac Horse Fever is a serious equine illness that can lead to fever, loss of appetite, diarrhea and even death. Horses grazing near freshwater sources or on irrigated pastures are most susceptible to contracting this bacterial infection. Here’s everything horse owners should know about Potomac Horse Fever. As summer temperatures continue to climb, you might find yourself seeking out cooler routes for your rides. 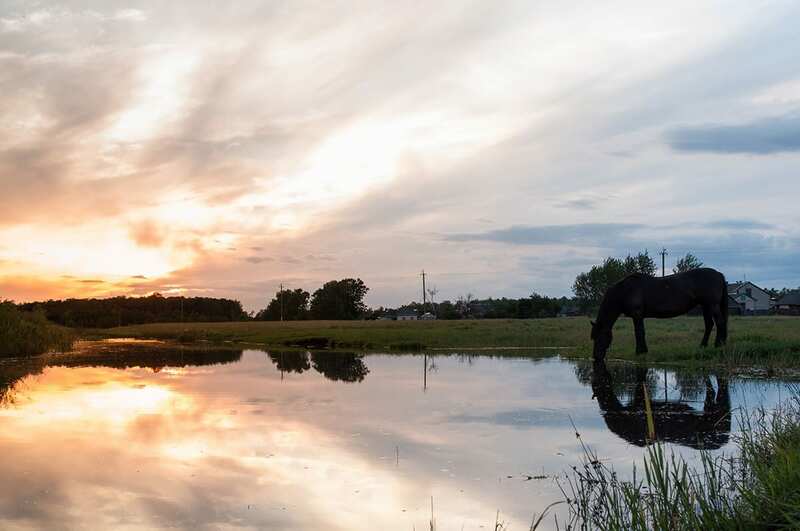 Your horse is no different; left free to roam, he’ll likely gravitate toward cooler, damper areas of the pasture, and might even wander over to paw in a stream or pond if he has access to one. Horses have been hard-wired since the beginning to keep themselves cool; your horse knows that hanging out near — or in — water will cool him off. Unfortunately, when a horse is in or around water, he’s more likely to contract Equine neorickettsiosis (EN), commonly known among most horse owners as Potomac Horse Fever. Potomac Horse Fever is an illness caused by bacterial infection that can lead to fever, loss of appetite, diarrhea and even death. Historically, veterinarians struggled to identify the origins of the disease. Then, as now, the disease appeared during the warmer summer months, and was primarily associated with horses grazing near waterways. Dr. Frank Schofield, a vet in southern Ontario, first described what we now call Potomac Horse Fever as “horse cholera” or “abdominal typhoid” in 1924. 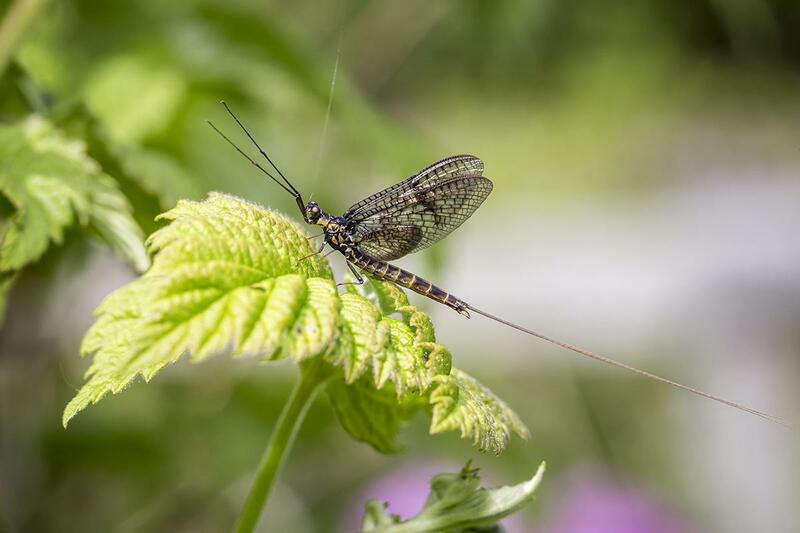 Dr. Schofield knew that it was found in horses near to water and additionally linked it with the seasonal appearance of mayflies, but couldn’t pinpoint its exact source — though he suspected it was bacterial. The disease got its name later, in the ‘70s and ‘80s in Maryland, when horses along the Potomac River began coming down with what was then called “Acute Equine Diarrhea Syndrome” — or simply, “Potomac Horse Fever.” By 1984, the organism was identified as being rickettsial, and was officially classified Neorickettsia risticii in 2001. Knowing what the disease was helped veterinarians identify the symptoms — and to teach horse owners to do the same. Potomac Horse Fever is a disease caused by the bacteria Neorickettsia risticii, which lives in flukes (or flatworms). These flukes develop in aquatic snails, but aquatic insects, such as damselflies, caddisflies, and mayflies, can also get the bacteria from infected flukes. Horses pick up the disease by grazing near freshwater creeks, rivers or even on irrigated pastures. When they ingest the insects carrying PHF, they also pick up the bacteria. Additionally, horses can also become infected by drinking water that contains free-living flatworms. N. risticii is also shed in the horse’s feces, but horses exposed to contaminated feces rarely become infected, as they would need to ingest large volumes of manure. Do they graze near a freshwater pond or stream? Is it spring or summer? Do they have access to an irrigated pasture? Do they live close enough to a freshwater source that an insect could fly or be blown into this grazing radius on the wind? If any of these conditions are present in your pasture, you need to know the protocol for PHF. Horses with Potomac Horse Fever may exhibit one or more of the following symptoms (which can be quite mild). Clinical signs typically last between 1 and 15 days. If any of the above are present, call your veterinarian. He or she will conduct a blood test to look for the bacteria in the white blood cells or manure. 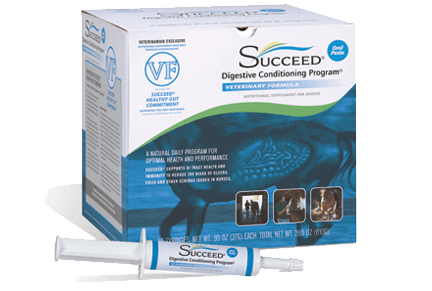 After the horse ingests the bacteria, the incubation period is approximately 1-3 weeks. During this time, N. risticii is released into the gastrointestinal tract, where it infects surface cells, usually of the colon. N. risticii then reproduces in the cells and tissues, eventually ending up in the circulatory system, where it reproduces in your horse’s blood. The resulting infection damages the lining of the colon (called colitis), preventing absorption of water and electrolytes. In severe cases, the compromised mucosal membrane may also lead to ulceration and tissue death in the intestinal lining. For this reason, Potomac Horse Fever can be a fatal condition for between 5-30 percent of horses. Early treatment improves chances of survival and is recommended for horses living in endemic areas that develop clinical signs. The recommended treatment is typically Oxytetracycline, administered twice daily for 5 days, plus an increased focus on hydration. Intravenous fluids and electrolyte supplementation may be recommended; in severe cases, a blood transfusion may be necessary. Response to treatment is usually seen within 12-24 hours. 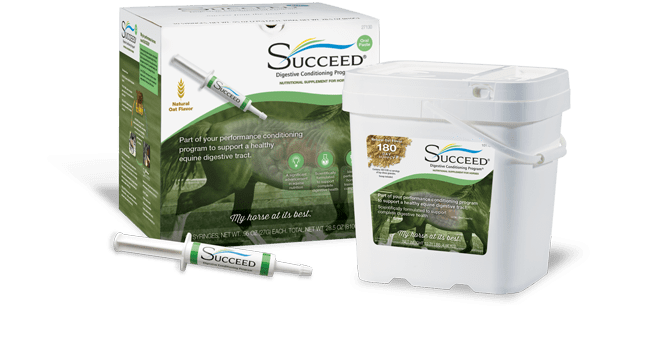 Horses suffering from laminitis as a result of Potomac Horse Fever may also benefit from being kept in a stall, supportive bedding, icing, and pain relief. In a study by Bertin et al (2013), 73% of horses survived to discharge after a median 6 days in hospital. Younger horses had a better survival rate. The more of the blood work changes that were present, and the more profound the changes were, the poorer the prognosis. Vaccination is the best prevention, and should be timed to just before peak insect hatch—usually mid- to late summer and into early fall. Still, it can be challenging to select the correct strain of N. risticii to incorporate into the vaccine. Also, many horses do not have a strong antibody response to vaccines, and the antibodies are short-lived. For these reasons, particularly in endemic areas, vaccination is recommended every 3 months, and every 6-12 months in other areas. If a horse recovers from PHF, however, they are typically resistant to re-infection for up to two years. In addition to vaccinating your horse against PHF, you can also do you best to limit his exposure to aquatic insects during high-risk times. You might consider limiting his grazing access to waterways. And turn off night lights around stables and pastures, as insects infected with N. risticii may be attracted by the light. Potomac Horse Fever is a serious disease that can prove fatal. For this reason, it’s vital to keep your horse’s vaccinations up to date, limit his exposure to high-risk areas, and to turn off insect-attracting lights around the barn. You can also do your best to make sure his digestive system is in the best possible condition to help ward off the bacteria if he still manages to be exposed.